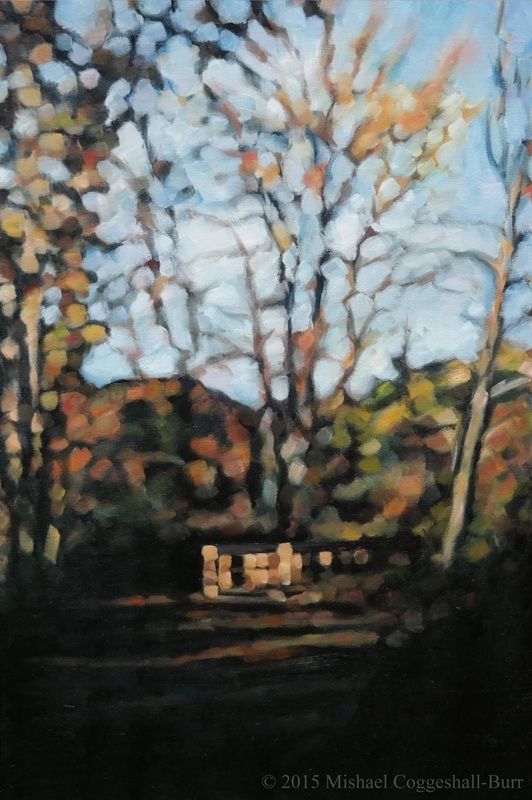 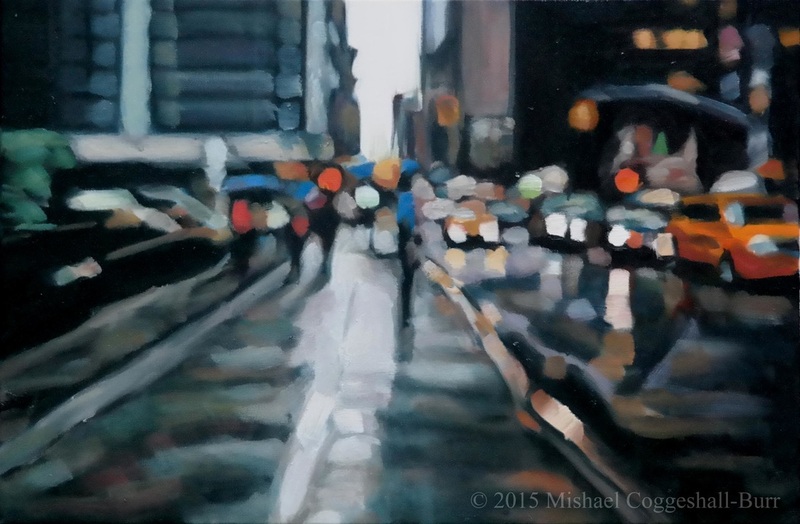 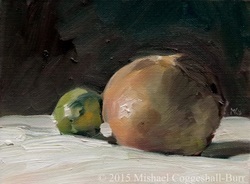 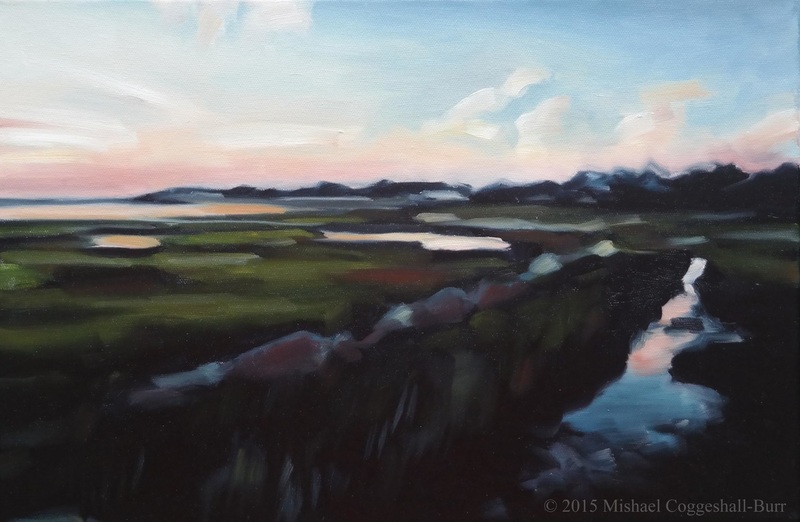 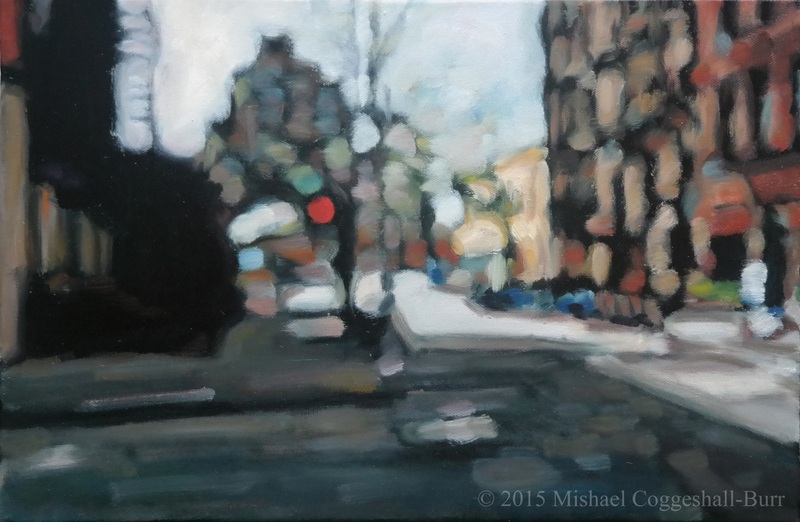 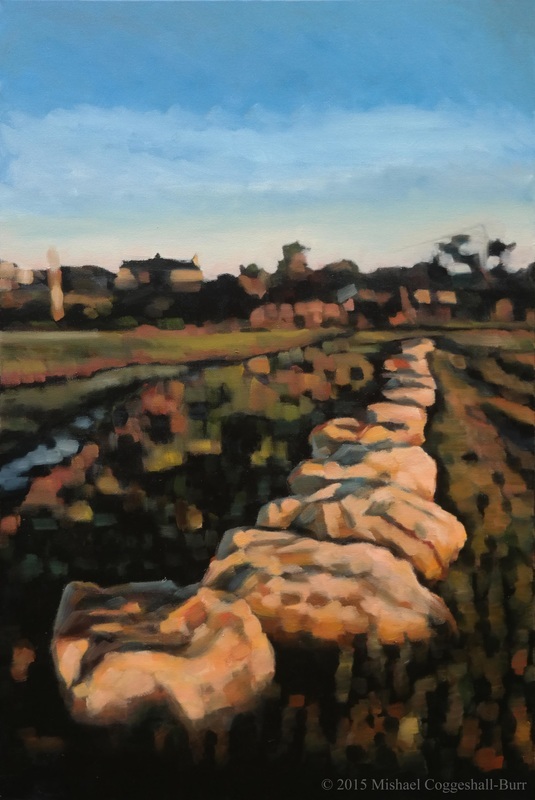 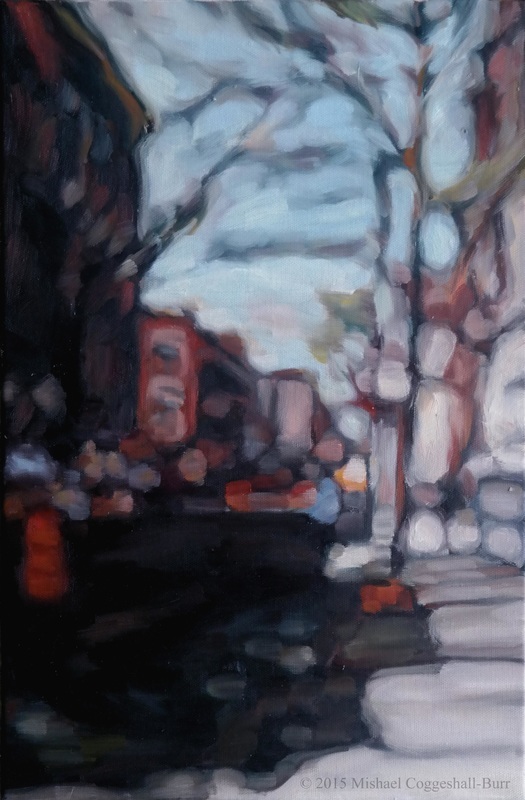 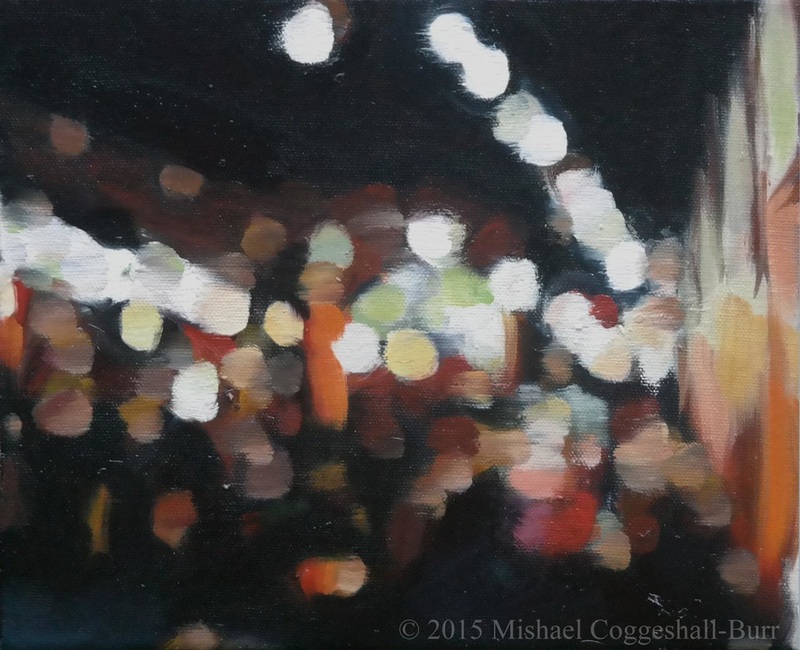 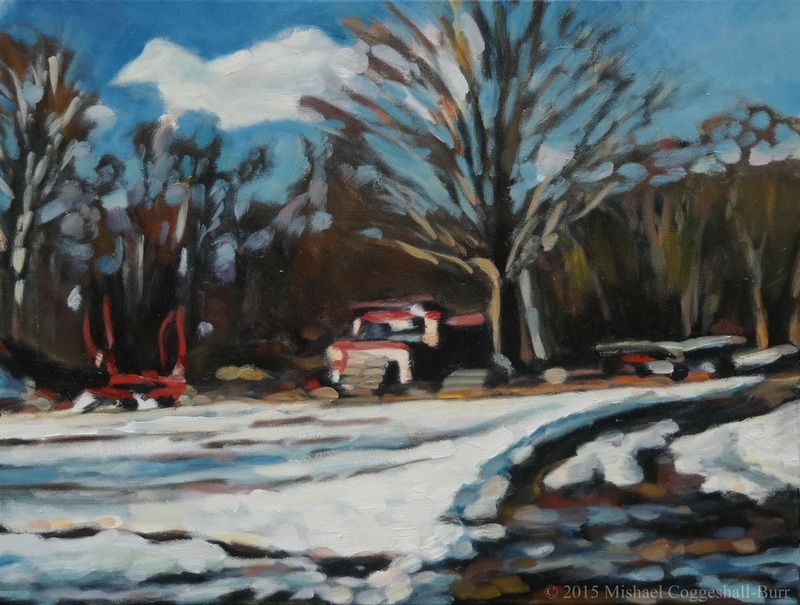 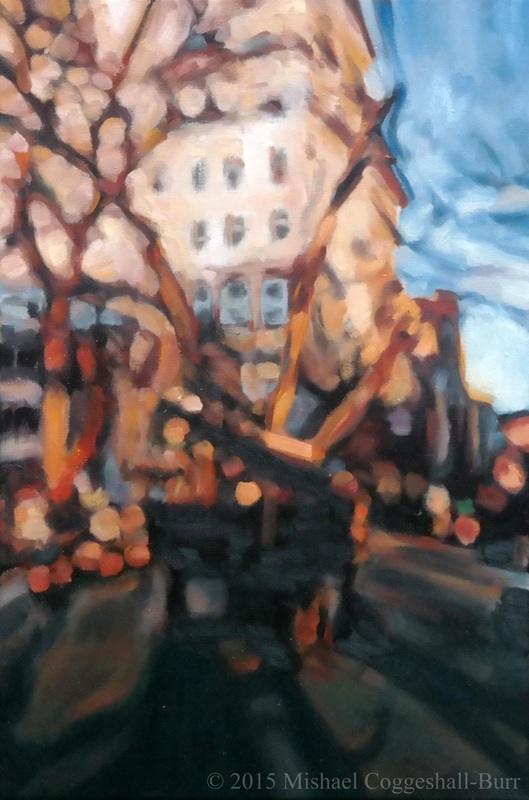 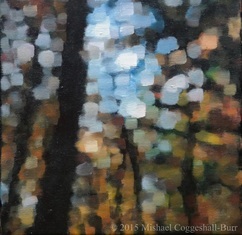 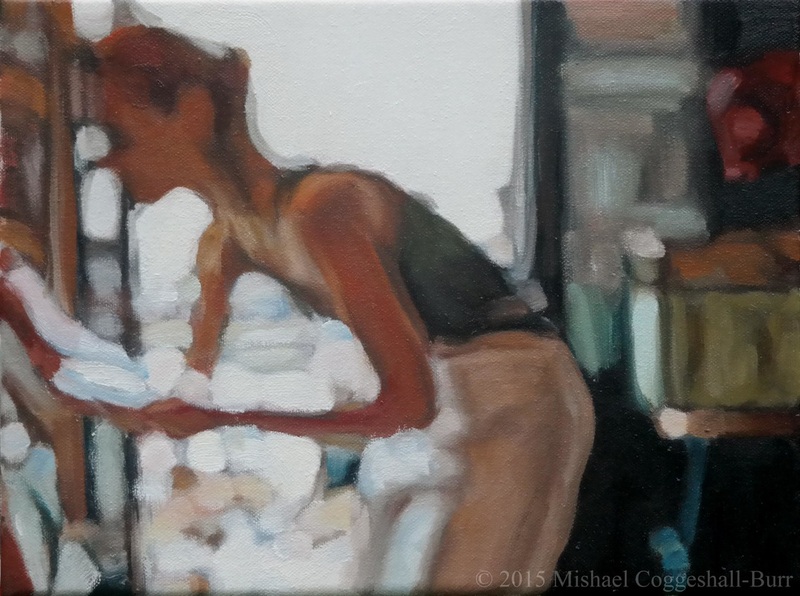 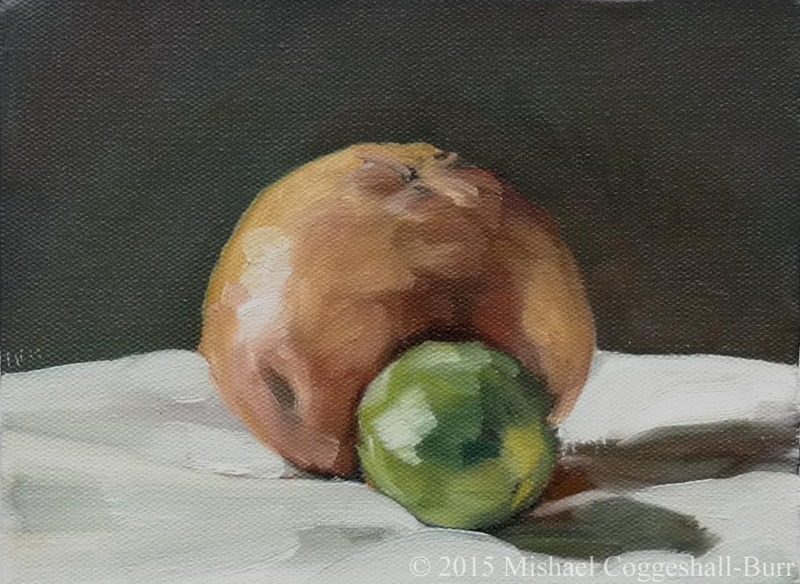 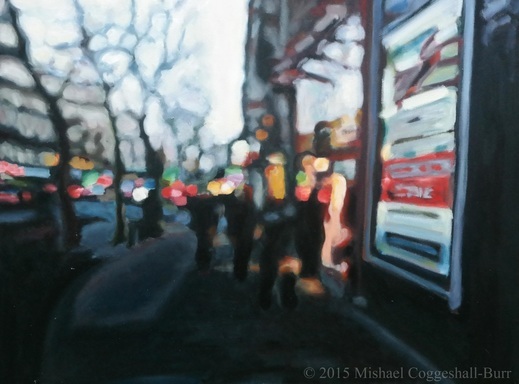 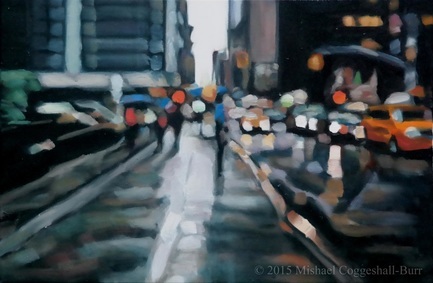 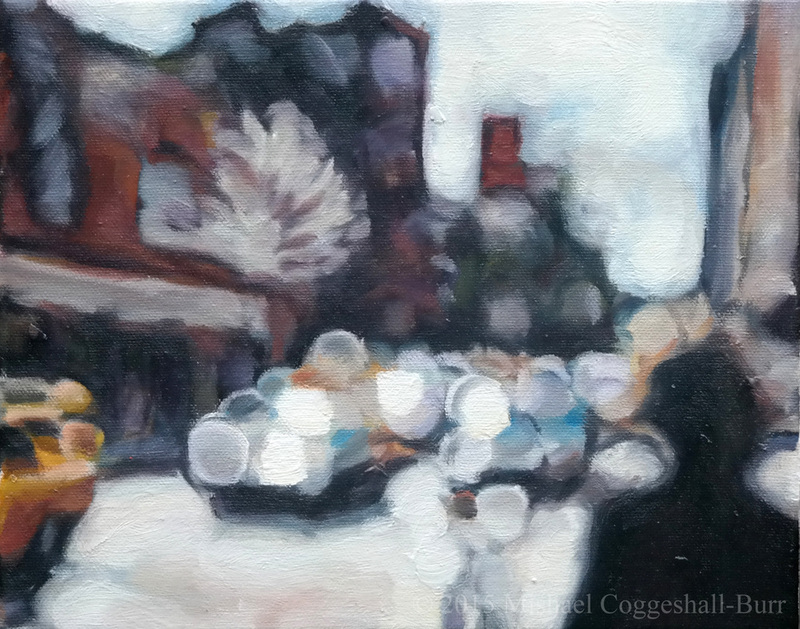 Mishael Coggeshall-Burr’s 2015 Oil Painting exhibit - ESCAPES - showcases the artist’s appreciation for his two most favorite subjects – busy, colorful cities and tranquil landscapes – both capturing the idea of an imaginary escape from our day-to-day realities. 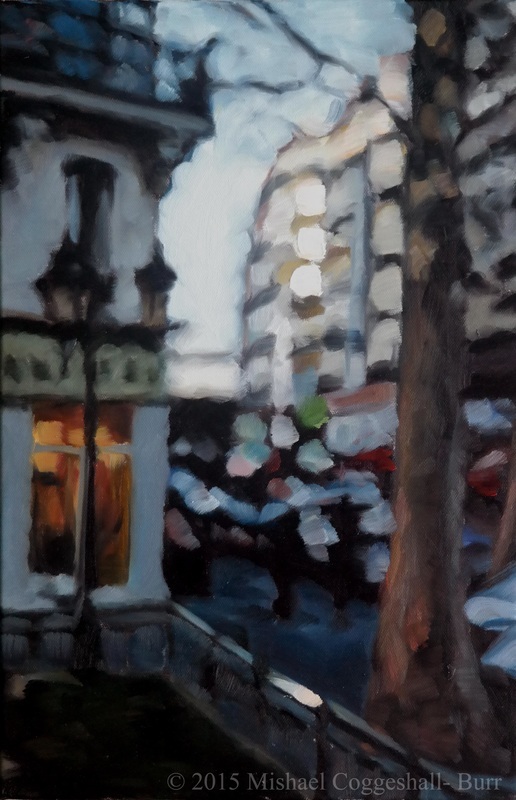 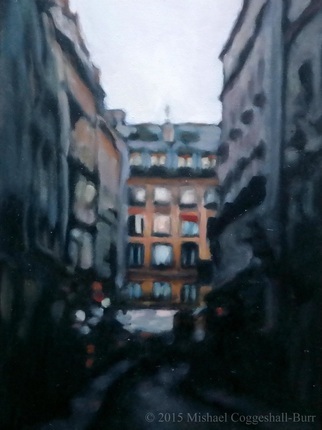 Another favorite juxtaposition – that of bright, dissolving lights and dark, long shadows – embodies a sense of movement, a flash in time, bringing to one’s mind the possibility of escaping into the scene of each painting. Walking into this exhibit you can almost hear a NY Taxi cab whizzing by, or the buzzing of a café crowd, or the echoing of footsteps in a dark Paris alley, just as well as you can hear chirping birds or the bubbling of a stream in the quiet New England woods.